Want to go treasure hunting? In Logan, Kansas, you will find a treasure!!!! 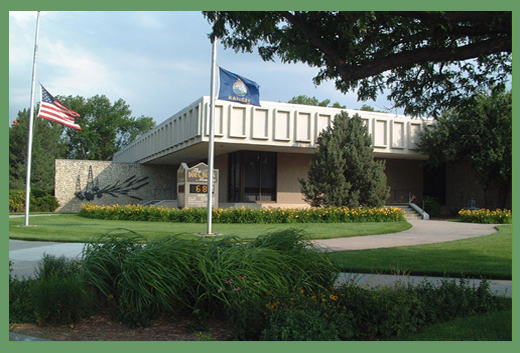 The Dane G. Hansen Museum shows various traveling exhibits from The Smithsonian and many other art exhibit companies! Each exhibit shows the viewer a collection of intriguing art works. Along with all these wonderful traveling exhibits the museum also shows a permeanent exhibit of Dane G. Hansen, among other historical items collected throughout the years. Come and give us a visit! You can't possibly go wrong visiting this museum with FREE admission! We only ask that you sign the guest book and tell us what you think of the featured exhibit. With convenient hours, the museum is open Monday-Friday 9 a.m.-12, 1-4 p.m.; Saturday 9 a.m.-12, 1-5 p.m.; Sunday and holidays 1-5 p.m. The museum is closed on Thanksgiving, Christmas, and New Year's Day.